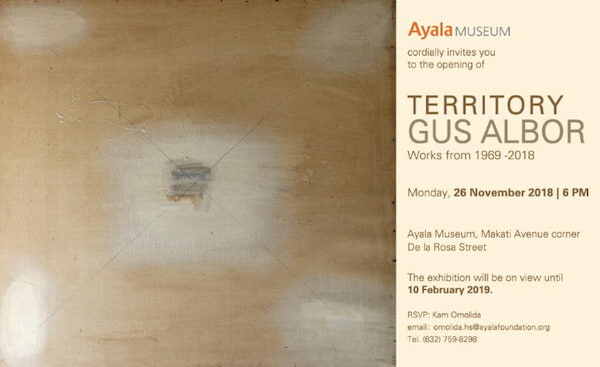 On November 27, 2018 the Ayala Museum will host an outstanding exhibition of the works from renowned Filipino minimalist artist Gus Albor. Entitled Territory, the exhibition showcases his body of work from 1969 – 2018. Gus Albor, Born August 1948, has been a stalwart of the Philippine art scene since the 1970s. A graduate of the University of the East School of Music and Fine Arts and a recipient of a British Council study grant to the West Surrey College of Fine Art, his works have been shown in exhibitions in Germany, Italy, Japan, France, and the United States to name a few. Albor has also received many honors and distinctions, one of which is the prestigious CCP 13 Artist Award. The exhibition will be the biggest gathering of Gus Albor’s works, occupying two of the Ayala Museum’s galleries. Featured in Territory are oil on canvas paintings, mixed media works, paper-based illustrations, large-scale sculptures, and installation art works that manifests Albor’s distinct partiality for minimal color registers, with extreme subtlety, soft transitions, and muted harmonies. Gathering close to two hundred works selected by the artist, the exhibition also displays a selection of figurative drawings which shows the artist’s range of cognitive, and tactile dissertations. Territory: Gus Albor - Works from 1969-2018 will be on show starting 27 November 2018 and will be on view until 10 February 2019 at the Ground Floor and Third Floor Galleries of the Ayala Museum. 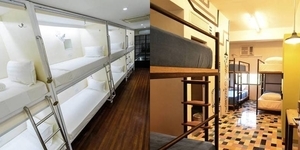 For more information visit www.ayalamuseum.org or follow Ayala Museum on social media.